Thank you for visiting Trading Phrases. We hope you will enjoy your shopping experience with us. 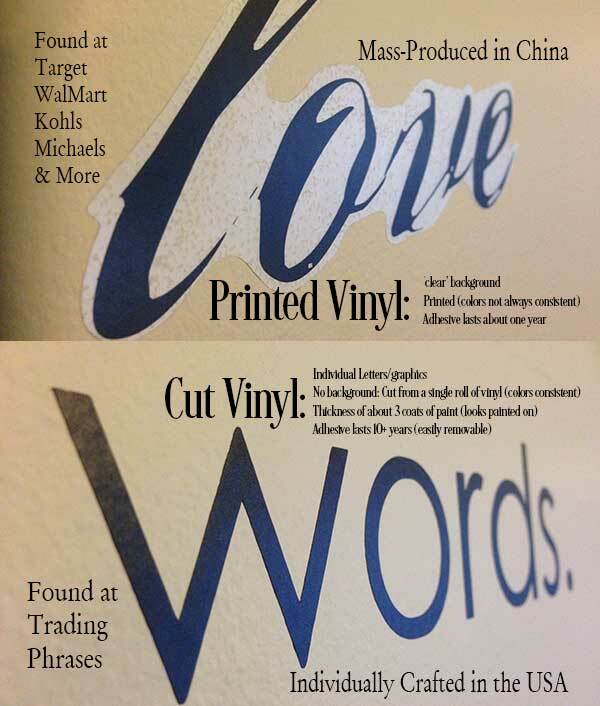 We want you to be completely happy with your vinyl lettering purchase from Trading Phrases! All of our decals are eligible for a return or exchange. However, our loot bags, Santa sacks, or any print or custom design, are not due to the extremely custom nature of the product. We also cannot refund or exchange our clearance-sale/grab bag items as they are a "grab" item. Trading Phrases cannot issue a "return" of money for a coupon you were not able to use for whatever reason retroactively. On a case by case basis we may issue a credit of the difference in the form of a gift certificate. Trading Phrases cannot issue you a full refund on an item that you used a coupon on. Vinyl lettering that becomes damaged during the shipping process by the carrier will be replaced by Trading Phrases at no charge to the customer. We may ask for photo evidence of this. Let Trading Phrases know your problem and they will assist you in a solution. We want to make you happy! If you exchange or we replace any portion of your order, it will void out any return on that item. We accept exchanges within 30 days We reserve the right to charge you an additional fee to exchange your product after 30 days (up to 60 days). Returns can be accepted within 30 days of purchase for a refund. Returns may take the form of money back to the card which was used or in the form of Gift Certificates which is up to the discretion of Trading Phrases. All sales become final after 60 days. The Customer is responsible for all shipping charges for both refunds and exchanges (even if you received free shipping). Refunds will be issued for the purchase price of the product not including shipping, rush processing, or discounts due to coupons. Trading Phrases will not refund shipping or rush processing charges once an order has been shipped. This includes orders that have already shipped and have free shipping (over $75). We will refund you the order total minus $8.50 for the shipping costs we had to pay. We reserve the right to withhold refunds in any case at our discretion. We recommend you send your return via an insured carrier. Trading Phrases is not responsible for lost or stolen packages. Trading Phrases cannot accept any packages that are sent Cash/Check on Delivery (COD). Please include a reason for your return as well as your order number inside the package with the decals. Returns should be mailed to: Trading Phrases ATTN: Returns, 8101 Flint Rd, Columbus, OH 43235. Trading Phrases gladly accepts Visa, MasterCard, American Express, and Discover, as well as Paypal, E-check, and Purchase Orders. 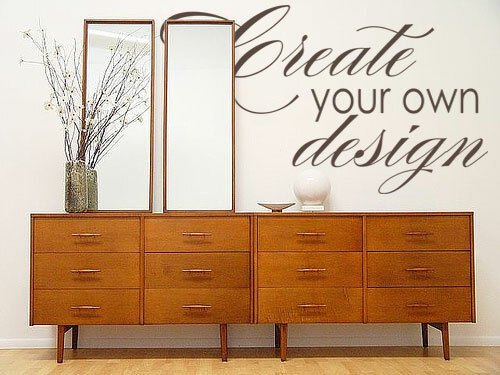 Periodically, Trading Phrases will offer sales on our vinyl lettering products. Sale prices are only in effect when stated and are not retroactive to prior purchases made on our site. Coupon codes are not able to be used on Gift Certificate purchases. 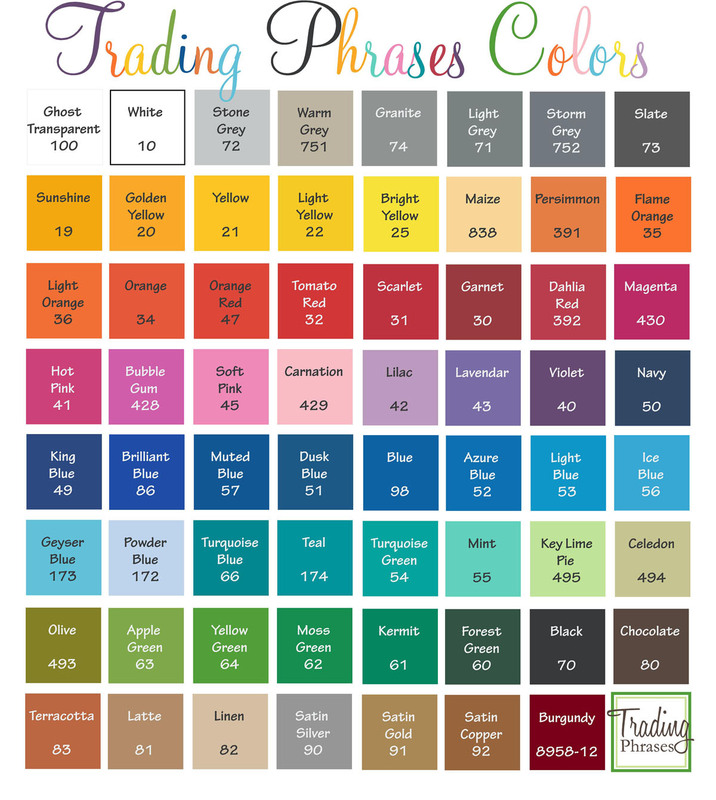 Trading Phrases charges based on the amount of vinyl we use to create your order. Prices are subject to change. Standard orders will typically be processed within 5 days in our facility, as we cut every decal to order. If you choose RUSH processing your order will be shipped the next business day for an additional $5 charge. 2nd Day Air orders placed on Fridays, Saturdays & Sundays will not be processed until the following business day. 2nd Day Air orders are shipped M-F and are not guaranteed delivery on weekends. If you order Thursday or Friday, they MAY hold your package to deliver on Monday. Unfortunately, this is outside of our control. We process orders that come in prior to 9 AM Eastern Standard Time. If you place any order at 9:01 AM EST (including express) it will not be processed until the following day. Trading Phrases is not responsible for any delays in shipping due to the shipping company's error. Please note that we have no control over packages once we turn them over to USPS. We are unable to communicate with them about where and how to deliver your package. RUSH processing is to get the order out of our door sooner (placing your order on top of the stack) for an additional $5. To get expedited shipping, please choose one of our Priority Mail options. Trading Phrases uses the U.S. Postal Service when shipping our packages. Tracking is available until the final step and is provided to you via email after checkout. We ship all orders with the information the customer provides at checkout. Once the order has been shipped we cannot change the address. If there is a problem in delivery due to an error made by the customer entering improper information Trading Phrases will resend out the package with corrected address at the customer's expense. If the shipping company returns the decals to us after trying to deliver the package multiple times, the package will be resent to the customer at the customer's expense. Cancelations: Trading Phrases will gladly accept a cancelation of your order prior to shipping. Once the decal has been shipped the customer will have to abide by our return policies (please see below). Express orders will not arrive or ship on Saturdays and Sundays. Express orders placed Friday, Saturday, or Sunday will go out on Monday. International tariffs, taxes, and/or brokerage fees are the customer's responsibility. We process orders daily, and we use USPS as our carrier. If you choose free or flat rate shipping, we will use the lowest cost rate to ship your package, generally First Class (shipments less than 13 ozs) or Priority 1, 2, or 3 day delivery depending on the distance from Columbus, OH 43235. 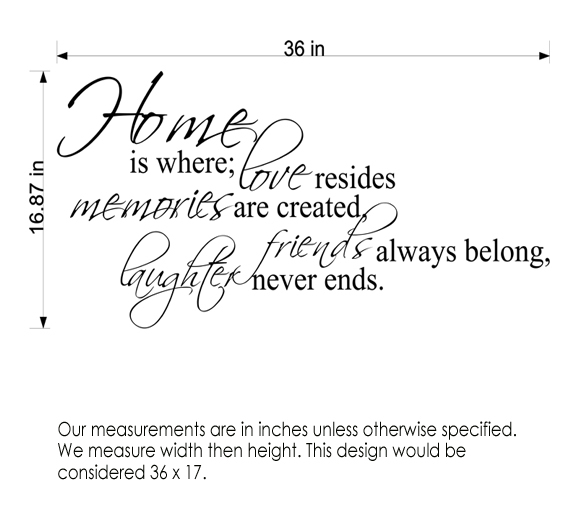 Trading Phrases will create a custom vinyl lettering order upon request and customers should complete the order form here. However, the decision whether to create your custom design will be made at the sole discretion of Trading Phrases. We reserve the right to refuse any order which we feel is inappropriate or inconsistent with the values of our company. Custom Orders are not eligibile for a return, due to their personalized nature. If you are not completely happy with your decal, we would love the opportunity to fix it or exchange it for you, as detailed above in our Return Policy. Trading Phrases may offer a refund only in the form of a gift certificate, if the item is returned within 30 days of the purchase date. All Gift certificates emailed or sent through mail expire after one year from the purchase date, no exceptions. The content, organization, graphics, design, compilation, magnetic translation, digital conversion and other matters related to the Site are protected under applicable copyrights, trademarks, registered trademarks and other proprietary (including but not limited to intellectual property) rights. The copying, redistribution, use or publication by You of any such matters or any part of the Site, except as allowed by Section 5, is strictly prohibited. You do not acquire ownership rights to any content, document or other materials viewed through the Site. The posting of information or materials on the Site does not constitute a waiver of any right in such information and materials. Trading Phrases is not responsible for any damage incurred by applying or removing our vinyl lettering designs by the customer to any wall or surface. Please be careful when applying or removing vinyl. Refer to the application instructions included with your order and our FAQ page for further directions. We recommend you use a hair dryer when removing both our decals and the mirror packs as it helps loosen the glue holding the designs on the wall. Please note that are printed decals (on white and clear adhesive vinyl) are meant to be permanent. They may damage your paint when they are removed.